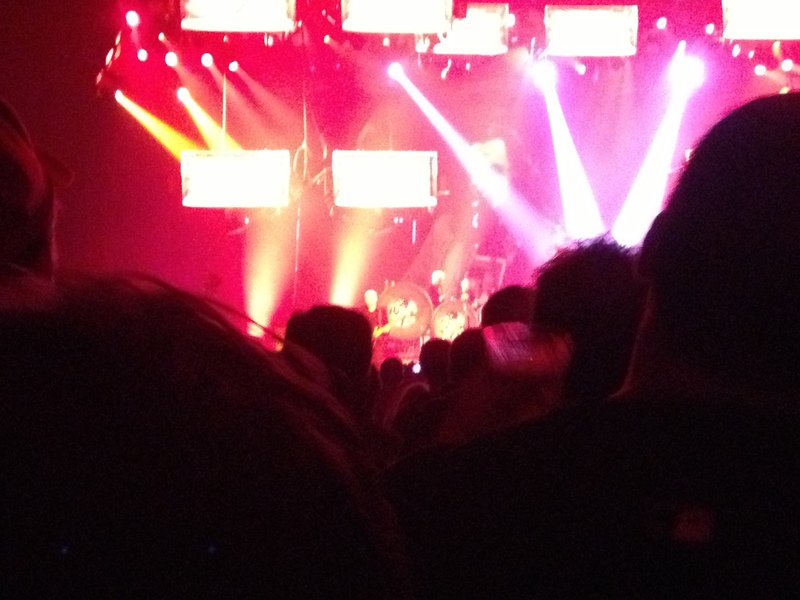 I saw the band Rush on Friday, October 12th. 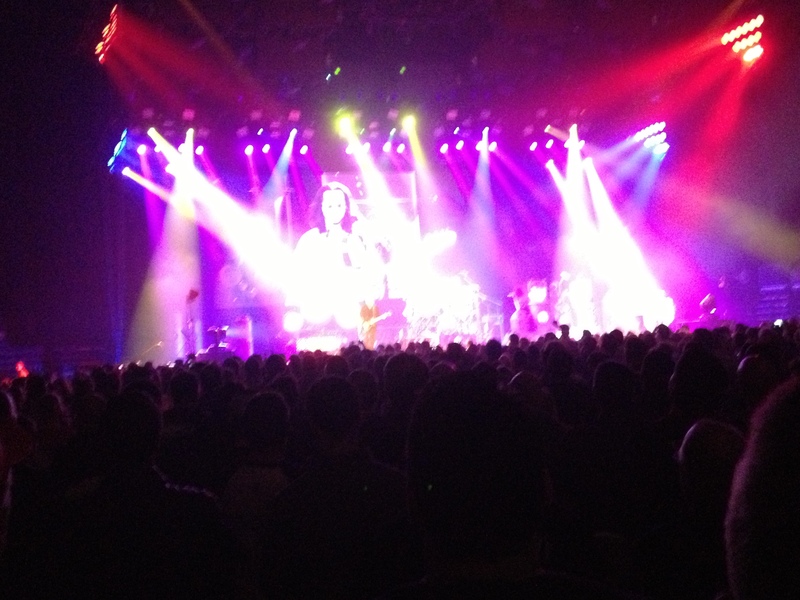 Rush is a band I’ve loved since 1989, and they’ve been a musical and lyrical inspiration since then. In fact, I credit them with expanding my own lyrical skill in the first place. Musically, Rush has always been a creator of challenging and interesting material, and have influenced and inspired uncountable amounts of musicians over their 38-year recording career. Geddy Lee is still my all-time favorite bass player, Neil Peart is one of the most widely recognized monarchs of the drum kit as well as of lyrics, and Alex Lifeson is an unbelievable guitar player, capable of very emotional and technical solos, and able to play an incredible array of styles. 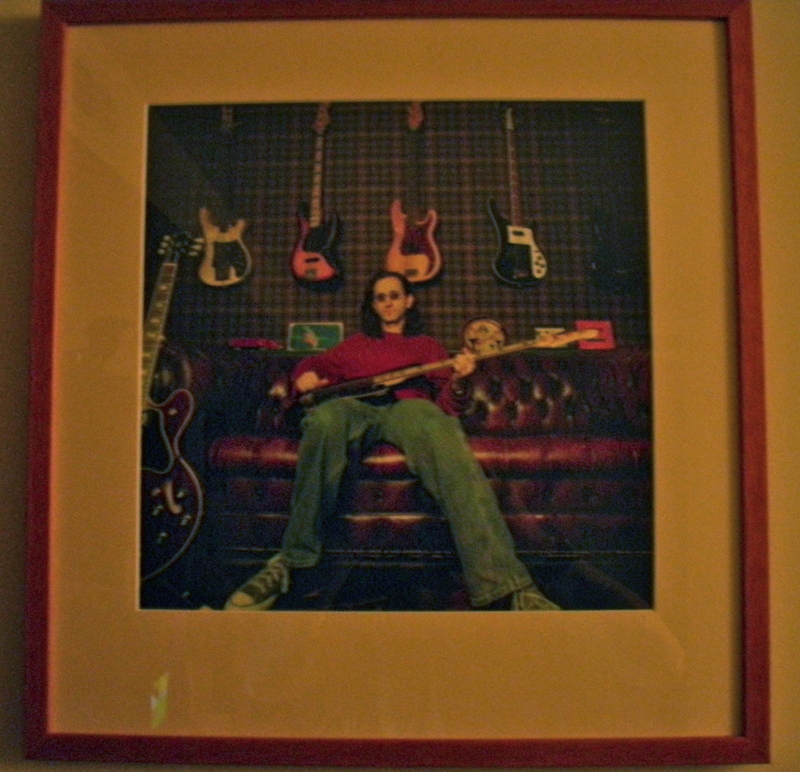 A picture on my wall of Geddy Lee. It was taken by the band’s late longtime photographer, Andrew MacNaughtan. I only saw them once, in 1990 or ’91, and I sat way up in the 3rd level. As a result, I didn’t feel like I was even there. I was also very young, had the attention span of a gnat, and wasn’t mentally able to take it all in. I wanted to see them last year, on their tour celebrating the 30th anniversary of their signature album, Moving Pictures. Veterinary bills kept me from being able to attend, and there was no way I was missing this one in support of their newest album. It was absolutely amazing. Detractors of the band have consistently pinpointed one reason for not liking Rush, and that’s Geddy’s voice. He’s known for singing in a very high register, and it was especially stratospheric in the earlier part of their career. His voice can’t quite do the highs as much anymore, and it’s reflected on the last 2 albums in the lower range he chooses. I’m curious as to how much that effects their decision when choosing which songs to perform. One thing to consider when analyzing his performance is that he sings while playing some incredibly complex bass lines, as well as the synthesizer parts. He’s practically a band unto himself. The show definitely focused on the latter-half of their career, with the exception of classics that would be murderous of them not to include, such as their hugest commercial success, Tom Sawyer. 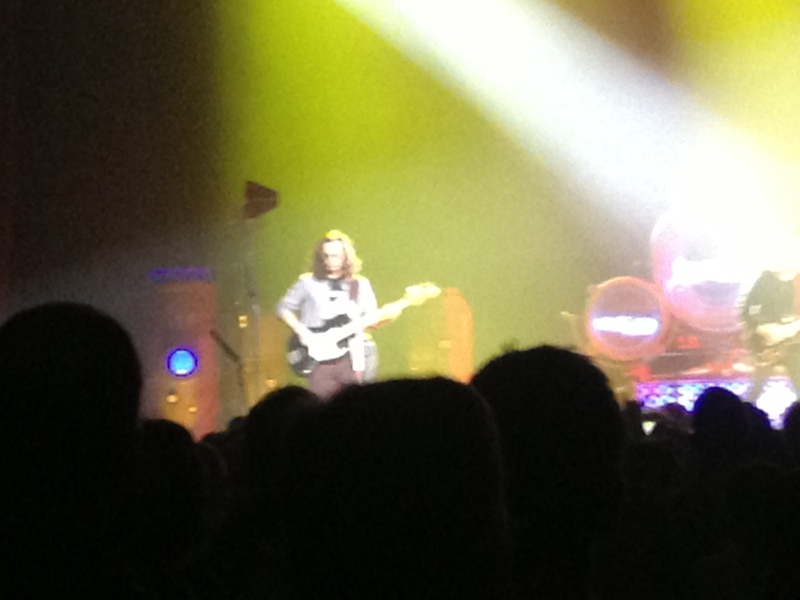 And Geddy’s voice held up better than I expected. Rush, as a group, have a very jovial way about them, and this always translates onto their tours, despite the seriousness of their album content. They always do slapstick films on the rear projection screen, have roadies run on stage in bizarre outfits, and have done things over the last few tours such as having washing machines on stage out of which roadies take t-shirts to throw into the audience and having a chicken rotisserie which roadies come out to baste while wearing chef’s hats and aprons. While I was intent on taking the show in and not missing anything (who knows how many more tours there’ll be), some of the glow still disperses as daily life overtakes the memories. Thanks to the magic of youtube, however, there’s an entire catalogue of performances recorded on cell phones (with surprising quality), including the show I saw in Philadelphia. Getting to rekindle the magic is priceless. As for the album they’re supporting on this tour: Rush, in the past, has done numerous long songs (entire sides of albums, sometimes) with a story being told via the lyrics. The latest offering, Clockwork Angels, is a full concept album, and it’s also surprisingly heavy musically. One treat that they did this time was work with author Kevin J. Anderson to produce the story as a novel as well. The novel helps to make more sense of the album since Anderson had 300 pages to work with as opposed to 12 songs. In the book, Anderson (who has been friends with Peart for many years) drops lines from Rush songs and other references that long-time fans will understand throughout the text. Inspired by this, as well as the experience of the concert, I wrote a poem which uses song titles in the same way. I also chose a really obscure rhyme scheme. Instead of using couplets or rhyming every other line , I waited 3 lines after the initial one to rhyme. I did this to honor the 3 members of the band. An evening charged with emotion! So I ponied up what entry cost. I’d work out paying bills somehow. I sensed the countdown impending. And feeding all our anticipations. We watched the big screen animate. And revel in a show beyond compare. And a euphoria that meets the accolades. Other bands seen a far cry from this. For vapor trails become of this bliss. I pray the afterimage will never leave. 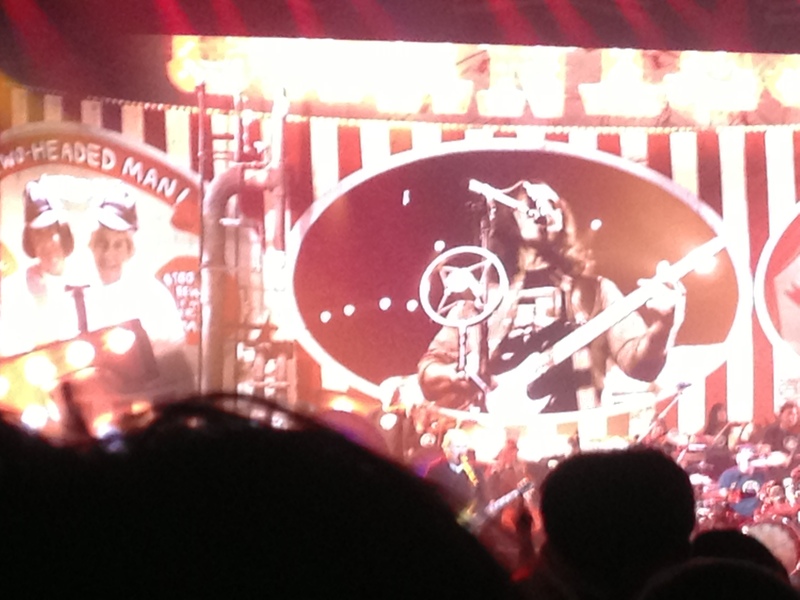 Rush – Tom Sawyer – Philadelphia 10/12/12www.youtube.comWells Fargo Center, Philadelphia, PA, October 12, 2012. Entire show filmed (stage shot), partial show (screen).